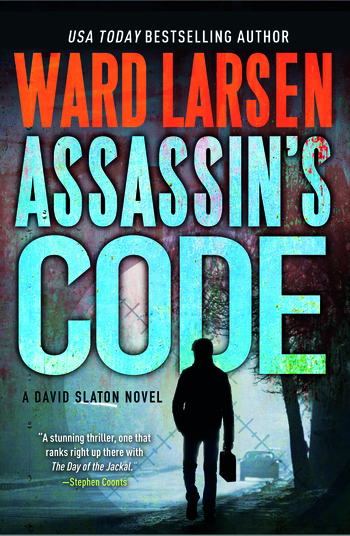 Step aside, Jason Bourne: David Slaton, the perfect assassin, returns for another adrenaline-packed adventure by USA Today bestselling author Ward Larsen in Assassin's Code. Slaton keeps a breakneck pace, traveling to Tel Aviv, Paris, and the deserts of Syria. In the end he uncovers a labyrinthine plot—and one that only he can stop. To be a day short of one’s fifteenth birthday is a characteristically happy time in a young man’s life. Considerably less so when there is no chance whatsoever of reaching it. WARD LARSEN is a USA Today bestselling author, and three-time winner of the Florida Book Award. His first thriller, The Perfect Assassin, is currently being adapted into a major motion picture by Amber Entertainment and SND/M6 Films. He has also been nominated for the Macavity Award. A former U.S. Air Force fighter pilot, Larsen flew twenty-two missions in Operation Desert Storm. He has served as a federal law enforcement officer, airline captain, and is a trained aircraft accident investigator.